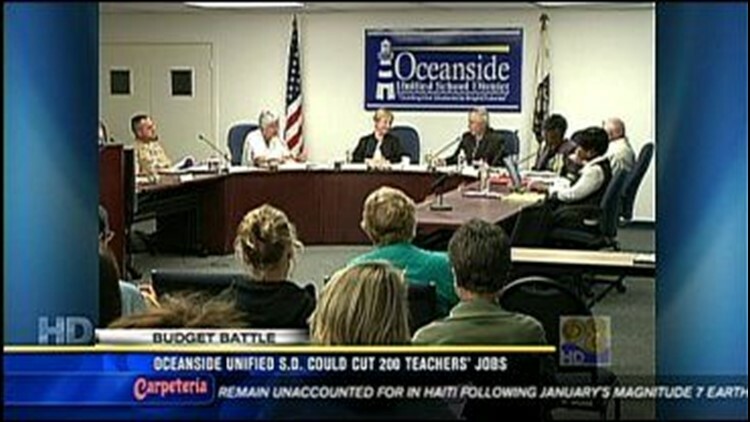 OCEANSIDE, Calif. (CBS 8) - The budget ax is falling in Oceanside. The jobs of as many as 200 teachers are on the line in the Oceanside Unified School District. District officials are figuring out how to cut $19 million from the budget. One solution the board trustees will vote on Tuesday is whether to issue pink slips. State law requires districts to let teachers know by March 15 if they could be laid off next year, but final notices aren't sent out until May.